DJ Prices, How much does a Professional DJ really cost? How much does a DJ really cost? What Determines DJ and Professional DJ prices? This guide is designed to explain the factors a DJ will consider when providing you with a price and the key things YOU should consider before accepting a quotation. For questions YOU should ask a DJ during the quotation stage, Read the Top 10 Questions to ask a DJ article. So maybe you have never booked a DJ before and the thought scares you but it needn’t be scary! We want you to make the right choice for YOU, Even if that isn’t us. Always ask for a quote when booking a DJ and ask them questions! The process of obtaining quotations and choosing between them may seem daunting but you absolutely should ask for a DJ quotation to ensure you get the type of service that meets your requirements and that you hire the best DJ to do that. Products such as a tin of beans are easy to compare because they are a commodity item. A tin of branded beans will be the same regardless of which shop you buy them from. It might cost more to purchase in your local shop than a supermarket but in the end the PRODUCT is the same. Services are more challenging to compare because unlike the baked beans, every DJ is different. Whats more, Each DJ will offer different services and place an independent value on those services. Notice we have used the word VALUE this is important as Value is the worth someone places on something. We’ll try and keep the factors brief as possible but some do require a little elaboration. This provides the DJ with an indication to the TYPE of work involved. – A Child party with games will require an active DJ to vocally interact, run around and entertain the children. – An Adult Birthday party will require a particular skill set, Dynamically changing the music to the ebb and flow of the dance floor. – A Wedding not only requires exceptional attention to detail with regards to the setup, how it sounds and looks. But there is usually six months to two years communication, consultations and meetings in the run up to the big day. Your DJ should invest more time in a wedding than ANY other type of event. Where is your chosen venue? – How far does the DJ need to Travel? – Does the DJ cover your area? – Parking – How much will parking cost? Can the DJ park close to the function room? – Access – Is your function room on the ground floor? Will the DJ need to carry equipment up stairs? – Function room size – How much room is there? This can determine the size and amount of equipment required. Number of expected guests + Age demographic? The more guests there are, the bigger the sound system and lighting required. High guest numbers bring a diverse age demographic. The DJ will call upon his experienced skills to cater for everyone at your event. Stating the start and finish time will allow the DJ to calculate how long they will be working for. The DJ needs to load their van with equipment, Drive to your venue, Unload and setup before your guests arrive. He/She will DJ for you and your guests. After your guests leave, your DJ needs to pack up the equipment, Travel home and unload. Note: Its not unreasonable to expect an hour to setup the equipment with nearly the same to pack away at the end. When you factor in loading, unloading as well as travel times to/from the venue your DJ could be working more than 8 hours for a 5 hour event! The date of your event could effect the quoted price but even more importantly, It effects a DJ’s availability. Some dates are more popular than others and consequently these get booked up months or even years in advance! Bank Holidays are excellent examples, with Friday, Saturday and Sunday being sought after Party Nights. Its worth noting that DJ’s charge extra for; New Years Eve, Christmas Day and Easter Sunday. Quotations for these dates will likely reflect the extra fee’s charged. If however you are planning a mid-week celebration, due to lower demand it might be possible to negotiate a discount or get extra’s thrown into the deal. Send us a message for details on mid week deals.. Amateur DJ or Professional DJ? What, There’s different types of DJ? Statistically for every Professional DJ, there is three amateur DJ’s offering ‘cheaper’ prices and deals. The stark contrast is that saving a little up front could cost you more down the road if something goes wrong. 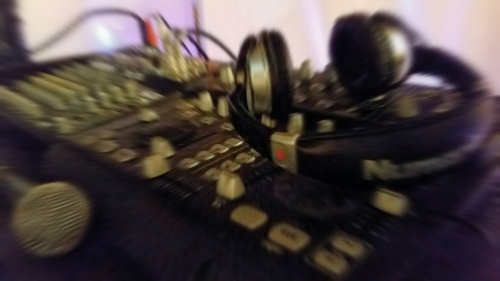 An Amateur DJ is likely to use budget equipment because Professional DJ Equipment is Expensive. Amateur’s may only bring with them what you see. With no backup equipment, If something fails it’s party over! Their music knowledge will be in its infancy. Ill judged music selection could land you with unimpressed guests and an empty dance floor. To make money on the lower fee they charge, Amateur DJ’s are unlikely to be paying taxes on their earnings. Worryingly some may forgo the purchase of Public Liability Insurance or equipment PAT testing. A venue is perfectly within their right to refuse any DJ entry without these credentials = Party over. If an uninsured DJ causes personal injury or fire through poor practises, You, The Venue and Uninsured DJ are all LIABLE for the damage! Amateur’s are unlikely to issue a contract. Without this, Its a gamble if they even turn up. Professional DJ’s have chosen to make a PROFESSION or career from being a DJ. Its likely the professional DJ has no other income. They dedicate themselves 100% to DJing. Professionals will use high quality audio and lighting systems. Resulting in a superior experience for you and substantially increased equipment Reliability for the DJ. Typically an amateur DJ’s setup may cost as little as £1000, Where as your Professional DJ’s system will be in excess of £10,000 and that’s just one system. We can guarantee your Professional DJ has several systems and chose the most appropriate one for your event. Professional DJ’s will have a back-up plan in place. With high quality systems, failure is unlikely however they will bring Spare equipment such as a laptop, Speakers, lights and cables. Should the worst happen, A few minutes disruption and the party continues. With experience comes wisdom. The Professionals will have an excellent music knowledge across a wide range of genre’s. They will use their skill to ‘read a room’ and select the best music to keep the dance floor full. Professionals will also engage with your guests over the microphone to make them feel part of your event. Professionals will have all the legally required credentials such as Insurance and PAT safety testing and will likely be a member of a professional trade body. The way a Professional DJ runs their business will stand out, For all the right reasons. Their online presence, Social media conduct, Behaviour at your event and Communication with you will set them apart from Amateurs. Professional DJ’s will issue you with a contract of service. A Professional will perform your event to the very best of their ability, not only to impress you but to wow your guests. The professional DJ will see each of your guests as potential new customers. Professional’s will be exactly that, Professional at all times. Still can’t tell an Amateur DJ from a Professional DJ? If you are still struggling to tell an Amateur from a Professional then its time to ask them some questions. You should base your choice on how confident you feel with the DJ’s response to your questions, Their portfolio and recommendations/reviews. NEVER LET THE PRICE BE YOUR DECIDING FACTOR. If its a small house party, An amateur DJ could be a way to save money. Just make sure they have Insurance/PAT testing for YOUR peace of mind. If however you are planning a memorable celebration, The choice is clear – Hire a Professional DJ. The Experience, Reliability and Professionalism will shine through making your celebration one to remember… for the right reasons! Professional DJ’s will place a higher value on their work because of the time, skill, and presentation they put into every event. A Professional DJ could charge anything from £200-£1000+ depending on the event and services they provide. Hang on a sec, That’s more than my budget! How did you arrive at your budget and what made you think a Professional DJ would be cheaper? Professional DJ’s, Have years of experience, use Professional equipment and provide a Professional service from start to finish. What about an Amateur DJ? Well yes, An Amateur DJ will almost certainly be Cheaper. You ‘could’ in theory book an amateur DJ for as little as £50 a night but if you did you are almost certainly setting yourself and guests up for disappointment. Cheap DJ’s are not good and good DJ’s are not cheap. If it seems to good to be true, it probably is!